After three years of promoting in Korea, AlphaBAT is back in Malaysia for a fresher and brighter side of music and concept. 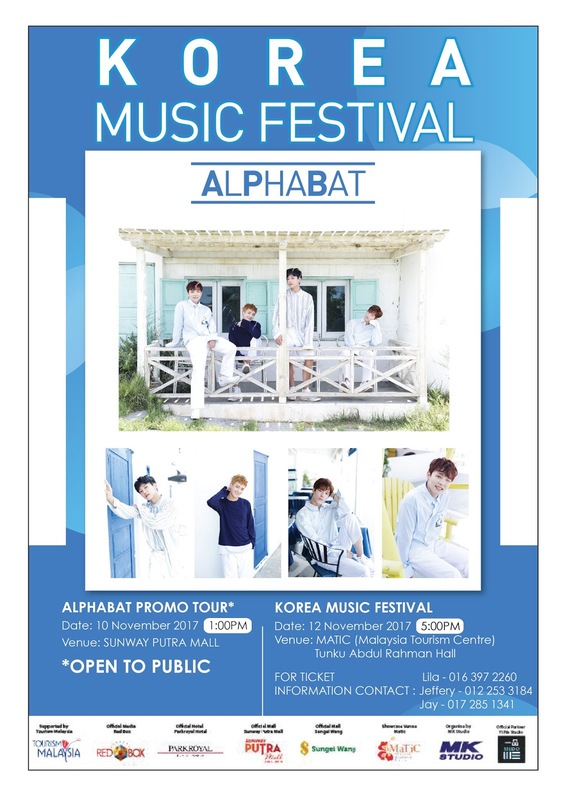 Alphabat members, Beta, Epsilon and Gamma had been here in 2013 and 2014 for their promotional tour before with other members of AlphaBAT. This time, they are back as four, with the addition of a new member; Kappa and today, the media get to meet them for a press conference ahead of their three-days promotional events in Malaysia. Donned in white, AlphaBAT members are looking so excited to start the conference. As the group greeted every one, Gamma exclaimed that they are back in Malaysia after three years. 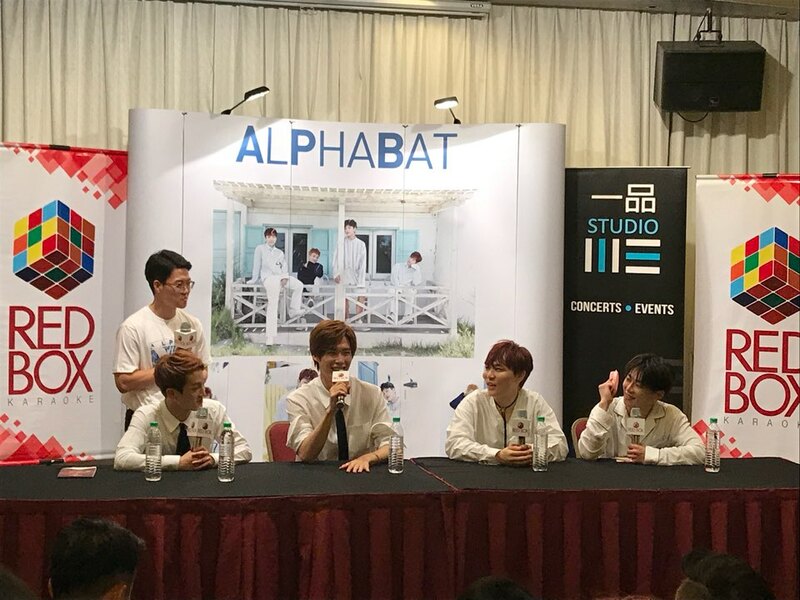 When being asked about Malaysian food, Epsilon expressed his love towards Nasi Lemak and he mentioned how Malaysian food suits his tastebuds. 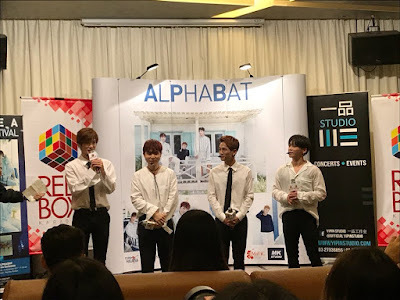 New member, Kappa, who came here with AlphaBAT for the first time, experienced his first Durian Candy and said that it is a taste that he cannot find in Korea. Impressed with the taste, perhaps, he would like to try it again as he did not seem to like it. 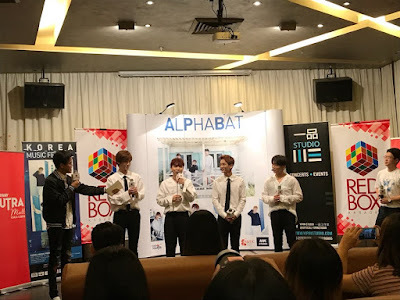 Leader Beta introduced their comeback song "Get Your Luv" and described that the song has a tropical genre which targets the summer vibe, as they released it in the summer. It shares the same groove with their previous song, Oh My Gosh, which they shot the MV in Malaysia back then. Being a leader, he sincerely said that "We’re on our fresh start now. We’re really excited to be here in Malaysia again to show our new side", and the group performed a bit of their song, Oh My Gosh, as the song is special for being made in Malaysia. 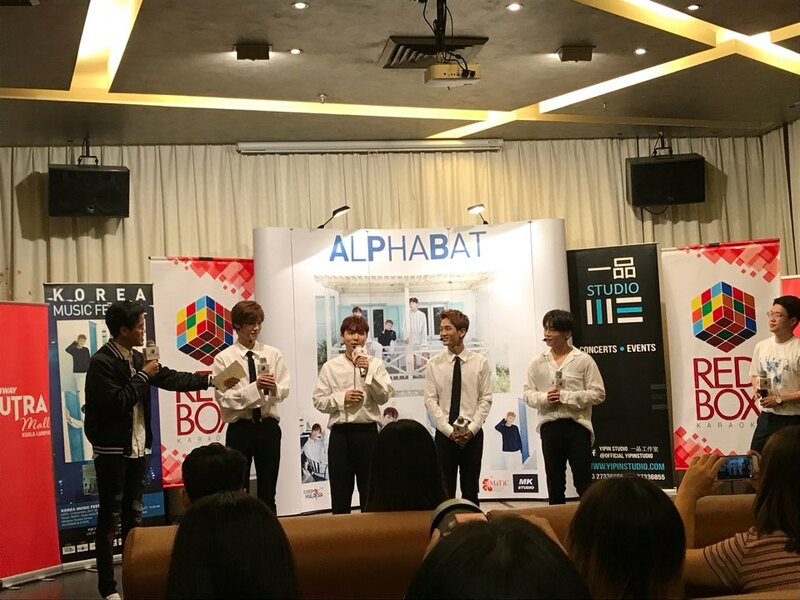 Before proceeding to the media interview, they gave a hint of their performance by dancing to their comeback song, Get Your Luv. It is a catchy song that brings a fresh feelings, that symbolises a fresh start of AlphaBAT. With classic mic-groove, AlphaBAT totally brings out their charming side with Get Your Luv. 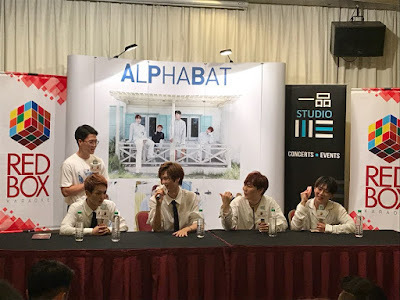 During the media interview, AlphaBAT shares about their life - Kappa told that as they all live together in a dorm, Beta always told him funny stories. Gamma reveals that he is raising a puppy so he usually walks with his puppy, while the other members play Overwatch. However, Beta explained that he spends his free time watching movie, because he does not play games. When being asked about the singers whom they want to collaborate with, Epsilon mentioned Baek Ahyeon, while Beta would like to collaborate with Jeng Junil. Beta added that for international artiste, he wishes to collaborate with world renown Shawn Mendes, Epsilon wanted to collaborate with Michael Buble, Gamma wanted to collaborate with Charlie Puth and Kappa would love to sing with Adele.